A grandparent’s job is to sprinkle stardust into the lives of their grandchildren. Sometimes that stardust is made of sand, as in beach vacations, and other times it involves snow, as in skiing, snowmen, sledding, and skating… the four “S” words for which a grandparent needs to be in sufficient shape. 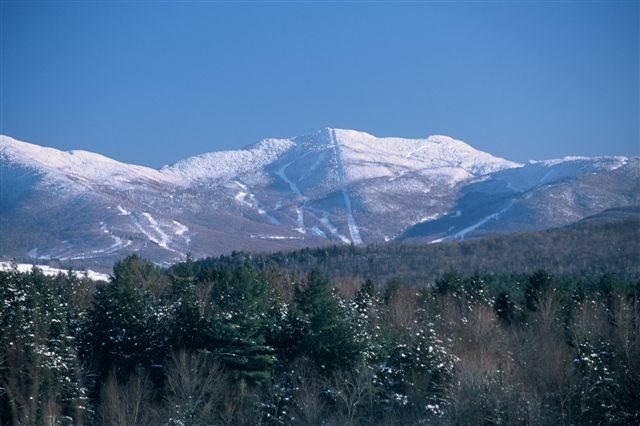 We think the best place in the United States for the “S” words is Smugglers Notch: a winter wonderland of a gorgeous mountain resort sprawling across the heart of Vermont’s Green Mountains. After driving or being shuttled in from nearby Burlington airport or Essex Junction train station, travelers begin to relax the moment they enter the resort’s gates. 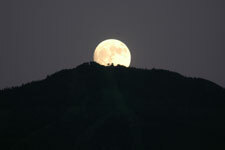 Catering especially to families, Smugglers Notch is a village unto itself. 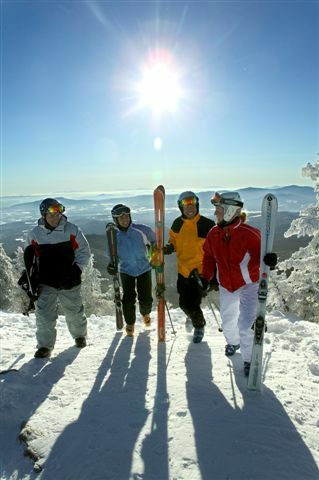 A variety of eateries, a country store, the Mountain Massage Center, an ice-skating rink, a Nordic Center, a Fun Zone, several teen centers, a daycare center, and 5 communities of condominium housing make Smuggs a place that visitors never want to leave. Founded in the early 1960s, the resort has grown with the times, offering a modern smorgasbord of choices for today’s families. High-tech (wireless computer access in the rooms, X-Box in the teen center, the newest of snow equipment, a Glowbal Dance party) blends seamlessly with the ancient mountains and natural beauty of the forests. The condos are conducive to comfort. Cozy, clean, and quiet, many have fireplaces and sweeping views of the Vermont vista. There are washers and dryers and fully-equipped kitchens. Grandparents may choose to cook in-room, or to visit one of the restaurants. I sampled a little bit of everything: the pizza at Riga-Bello’s, the monkfish at the cozy country restaurant Hearth and Candle, a hot fudge sundae at the quintessential Ben and Jerry’s Scoop Shop, a delicious chicken salad sandwich at the Green Mountain Deli, a bountiful breakfast buffet at the Morse Mountain Grille, a bowl of steaming chili at Green Peppers, and a fresh salad at the Black Bear Tavern. For those wishing to hike 100 yards across the road from the resort, there’s the lovely Stella Notte Restaurant, serving up scrumptious meals of Italian cuisine made from Vermont country products. Flickering with candlelight, the restaurant is a special treat at night, and seeing the stars of frosty New England with one’s grandchildren is an experience not to be missed. Despite its elegance, the charming restaurant’s cordial owners are very open to serving families, many with a slew of chattering, squirming youngsters. For those with artistic leanings, Smugglers Notch offers the innovative Artists In The Mountains program, with classes in beading, painting, sculpting, glass etching, and stenciling. The Snowman Family Painting class is a popular choice for grandparents and children. Making every grandchild’s day is a snowmobile tour or dog sled ride. “My grandson says this is the most fun he’s ever had!” enthused one woman with a rosy-cheeked cherub waving goodbye to the sled dogs. Snow Sport University offers ski and snowboard lessons for all levels, guaranteeing that each member of your family will learn to ski or snowboard, or will improve technique. There’s Sir Henry’s Learning & Fun Park, serviced by a “magic carpet,” and a Children’s FunFeast pizza party that includes appearances by the resort mascots Billy Bob Bear and Mogul Mouse. For grandchildren skipping school, there’s The Sorcerer’s Study Hall, with academic tricks by Marko The Magician. There’s the Cookie Race for the tiny tots, and Airboarding for extreme teens. Kids of all ages are entertained by the Fun Zone, a huge bubble of an inflatable tent filled with even more inflatable climbing courses, as well as the old-fashioned games of mini golf, ping pong, and basketball. For families with the very young, there’s Treasures, a state-of-the-art child care center for ages 6 weeks to 3 years. The immaculate daycare center features giant fish tanks in every room, tiny toilets and sinks, ski-in/ski-out convenience, one-way mirror viewing for parents and grandparents, and heated snowmelt walkways. 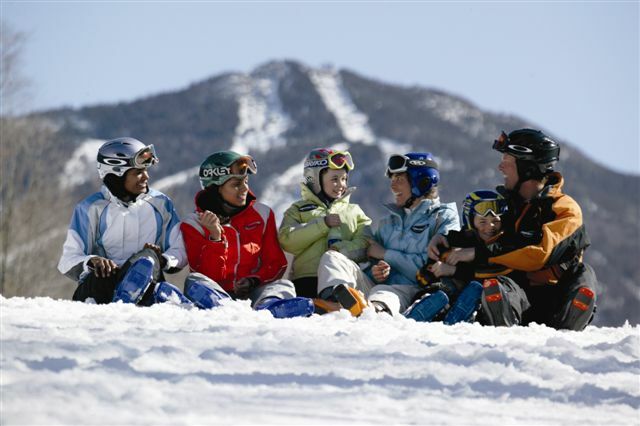 Other family fun features at Smuggs are the hot chocolate warm up around the bonfire, Bingo Blast, family karaoke and dance parties, Hawaiian Hula Parties, tubing parties, showtime, lap swims, a sled-building class, a video arcade, and the indoor heated pool and hot tubs at SmuggsCentral. Bring your “S” clothes: swimsuit and snowsuit. Smiles abound here. The employees all seem to be happy, and the on-demand shuttles save energy for the important stuff. Smugglers Notch is spectacular, sparkly, super fun: a wonderful experience for grandparents wishing to impress. I’ll be bringing my grandson Connor as soon as he can walk. He has no idea of the magic that awaits. It’s sweet as maple sugar. Grandparents with a goal of sprinkling stardust in grandchildren’s lives find it to be easy at Smugglers Notch. The snow sparkles like diamonds in the sunlight, and as every Sinatra fan over the age of 50 knows: Theres nothing quite like the moonlight in Vermont.